Some guys have all the luck…I’m not a member of the wolfpack, nor do I get furry, unless I forget to shave. I do, however, howl at the moon but that’s after I’ve had one too many. My thank you’s to Eric from Hunt For Truth for this nomination. 1. I want people to wake up, realize we’re all human, and we’re all in this together. Look, it’s just like the line at the DMV or at a government center for car tag renewals. You know it’s going to be a long wait. So be prepared and try to get along. We’re all in this for the same type of goal. Completion. 2. We’re the ones running the show and in charge of whether we make or break-our environment. Personally, I kind of like breathing without struggling for air and not wondering if the water I’m about to drink will commit me to a day spent in the bathroom wailing. Talk about the true meaning of a crap shoot. 3. Learn how to use the green-eyed monster as a personal motivator to make changes within yourself, instead of attacking and tearing down someone’s else’s victories, because you don’t have them. Every time you do, you’re broadcasting to the world that you’re a spoiled brat with a big entitlement problem. And that isn’t attractive. Wolves are faithful, loyal, social and honest. Please keep that in mind when awarding this to someone. 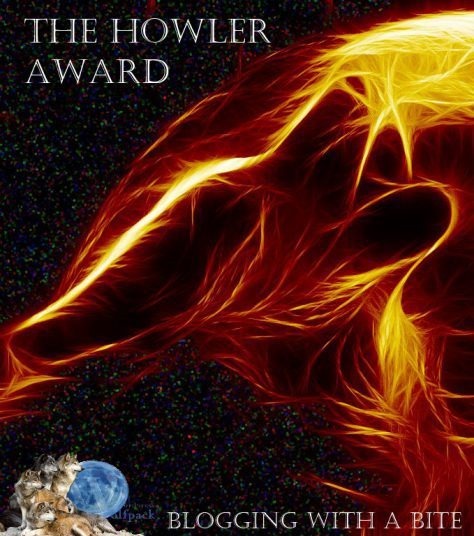 Members of the WordPress Wolf-pack can hand out the award at their own discretion, new members can hand out the award after they have gotten it themselves or anyone may suggest a person they want to nominate to one of the Wolf-pack members. Nominate (when you can) at least 5 bloggers that deserve the award. Thank you’s go to Funny Philosopher for the nomination. Sorry I was delayed, Rednecks and DIY stuff got in the way. My southern drawl comes from the Appalachia region, flavored with a thick syrup-based twangy-twang, only heard deep within the foothills of Eastern Kentucky. My smartphone doesn’t speak twangy-twang and has refused to take voice commands from anyone who speaks it. I would lodge an unfairness complaint, but I’m betting the company doesn’t speak twangy-twang either. When I was 3, I had my own pony and I rode (fell off backwards, frontwards, either side) as often as my parents let me. Despite the rolling dismounts, I’m just fine Motorola! today. I have more unanswered questions than I have answers. For instance. If I were to define myself as a writer, what type of writer would that be? That’s the one question I really want answered. Since it knows that, it evades me. While laughing. My hopes are of becoming a published writer. My nightmares are that I won’t. Late at night, while the rest of my household is in a Who Snores Loudest? competition, I lie awake and tell myself stories to keep the closet goblins at bay. The latest story only has a title. I’m not that good at telling myself stories late at night. I blame the snoring competition. My sincerest thank you’s to Belsbor for the nomination. 3. Pass the award on to seven nominees. 4. Thank the person who nominated you. 5. Inform the nominees by posting on their blogs. 1. I played classical violin for 10 years and bluegrass fiddle for 5. And I couldn’t play a single note today if my life depended on it..
3. I’ve decided I’m going to be a better blogger. I’m going to learn how to write magnificent blog posts on a stunning array of topics and cause people to weep with joy upon reading them. And mostly because there are no platypus care-tending positions open in my area. 4. I don’t sing in the shower but I do sing-in the car. With all of the windows down and Duck pleading with me to stop singing or put the windows up or both. But I don’t. 5. I still think Fridays nights are for partying even though I don’t and haven’t-for eons. I’m not sure I remember how anymore. I’m not sure knowing that fact bothers me. Nope. It doesn’t. 6. I’m typing this out with a big grin on my face. Too bad you can’t see it. You’ll have to imagine it instead. And then wonder why I’m grinning. But I’ll never tell. 7. 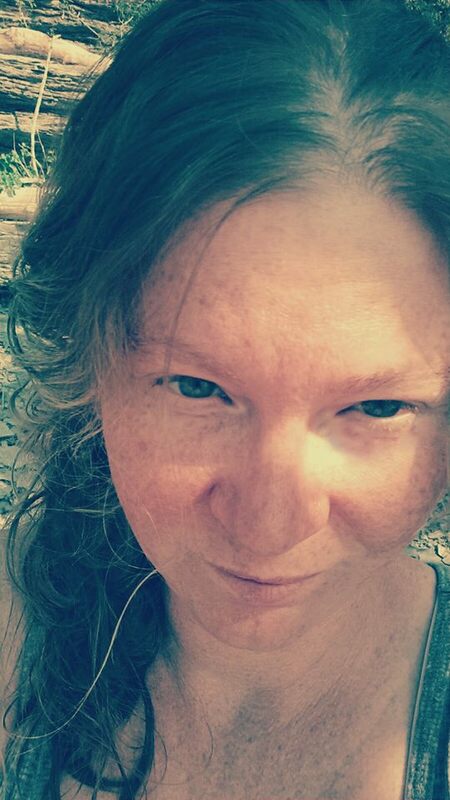 Okay, so I’m grinning because I heard the strangled yell of an offended Redneck and the accompanying giggle of a Duck. There’s only 1 reason these 2 sounds would happen simultaneously-and after dinner. Several time zones and at least one continent away, our favorite would-be writer receives an email from Lady Fury. Reading it while eating lunch at her desk, CeeLee paused. She wondered aloud about what being jolly had to do with being a lobster. 3 hours later, still at her desk and still in a land far from Lady Fury’s home, CeeLee the So-NOT-A-Spammer was looking through Urban Dictionary. She was pondering the definitions of Jolly and Lobster. Was this the intended definition? When an outcome of a competition is determined by an unexpected crustacean which ultimately shifts the advantage to the victor over a seemingly more qualified competitor. To be scared by people several years younger than you.??? The only thoughts to register within her tired brain were odd ones. She sighed and made her decision. For bloggers who enter fully into the fun of blogging. Many thank you’s go to the lovely Milady Fury from Furious Unravelings blog for the nomination. She’s really not furious or anything. Quite the cool gal when you get to know her. She’s someone I’m honored to call a friend. She told me to say that. And I did because her temper is-heh. How did I ever get off topic? Because that never happens to me. The largest lobster recorded was caught off the coast of Nova Scotia, Canada, and weighed 44.4 lbs (20.14 kg); it was between 3 and 4 ft (0.9 to 1.2 m) long. Scientists think it was at least 100 years old. Nominate up to 7 bloggers-and let them know. 1. Is there really a hole at the bottom of the sea? 2. What is your fave sea-creature? 4. Do you have a worst moments sea-side story? 5. What was Captain Hook’s name before he got the hook? 6. How much deeper would the ocean be if sponges didn’t grow in it? 7. What would happen to the sea’s water level if every boat in the World was taken out of the water at the same time? 1 Have you ever written a book involving sea scenes? (That is sea. Do please make sure there are no typos here). If not why not and do you intend to? So You Got Shipwrecked Now What: 101 Ways To Escape An Island. 2 What is your current WIP? Currently? This blog. Much needs doing and time isn’t my bestie. And well, yes, I’m still trying to get the query/synopsis done on the B-17 Bomber story. I think I need a virtual assistant. 3 Do you have a favorite sea film? And why? The original version of Jules Verne’s Twenty Thousand Leagues Under The Sea. I love the thrill that comes from thinking about battling undersea creatures the size of small office buildings. 4 A favorite fish recipe to share? Beer Battered fish and chips. But I don’t make it, Long John Silver’s does. We’ve found it to be infinitely safer for everyone involved, if I stay away from appliances that involve cooking. 5 Your favourite sea going book? See the above. Loved Jules Verne. 6 Can you share a fav sea-side memory? 7 Most memorable sea-going journey? None to speak of-yet. It’s on my Bucket List. Located right after getting on a plane and before I publish my first book.